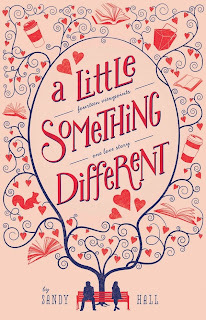 When I was at BEA this past spring, I saw a sign advertising A Little Something Different by Sandy Hall. The publisher's booth had some information about it, as well. It sounded like a fun story, so I definitely made sure to get my hands on a copy. Between the covers was a delightfully fun and entertaining romantic story. Oh, to be back in college again. Reading A Little Something Different took me back to the good old days of wearing pajamas to my first class, snowball fights on the quad, hanging out with friends almost all the time, knowing what days the dining halls had the best food options, studying at The Coffeehouse, walking to a local diner in the middle of winter, etc. If you've ever gotten "I Wish I Could Go Back to College" from Avenue Q in your head, this book is definitely for you! (If you haven't heard this song, click the link, but be warned that it's rated R for language.) If you never went to college, this is a good way to live vicariously. Mostly though, this story reminded me of dating, back when I was young and naive about how it all worked. The only people who aren't narrating this story are Lea and Gabe, even though they're the center focus. The story is told through the perspectives of others around them. You only know what they're thinking based on dialogue. This was a unique approach, seeing the relationship of one potential couple through the eyes of both people they're close with and people who are on the periphery (i.e. the bus driver, the barista, the rude guy in their writing class). I would have liked some more insight into the lives of everyone narrating the story to see what motivated them to meddle so much in Gabe and Lea's lives. Sometimes you got to see characters away from the main two. Still, their focus was solely on Gabe and Lea instead of on themselves. And since there was so much jumping around between narrators, it became confusing as to who was talking at times. There were two narrators who didn't really make as much sense to the story overall. The squirrel was cute enough, but I felt like Sandy was stretching the story a bit with this character. However, the bench was just silly and more time could have been focused on human interactions instead of such a perspective. I also felt like character descriptions came later on in the story, after I formed a certain image in my head already. 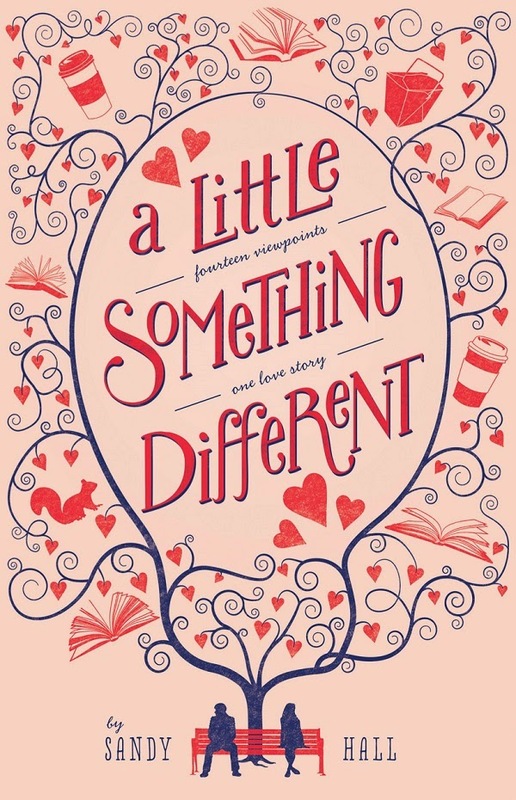 Overall, A Little Something Different was a cute story that made me laugh out loud often. There was an element of mystery in terms of Gabe's whole situation. If Nora Ephron had written a book about college students falling in love, this would be it. Thanks to Swoon Reads for the book in exchange for an honest review. OMG - this sounds like it has totally tapped into LIFE AT COLLEGE!!! The characters, the dilemmas, the settings, the details, the relationship hang-ups - WOW! If Nora Ephron...nice!!!!!!!!! I'm going to have to add this to my TBR!